RunSwitch PR, Kentucky’s largest full-service public relations and public affairs firm, announced the advancement of a team member, promoting Zachary Taylor to account director. Taylor joined RunSwitch in 2017, providing critical guidance and delivering key results for many of the firm’s clients. 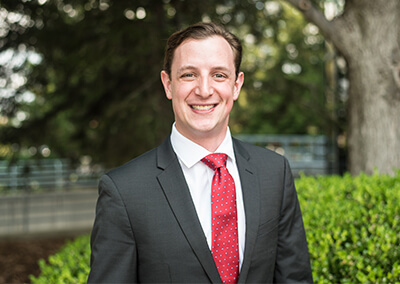 “Being a part of this firm provides an unparalleled opportunity to develop as a public affairs professional—RunSwitch is the best team in Kentucky and I am excited to continue to grow here,” said Taylor, who joined the firm after relocating from Washington, D.C where he spent five years working for a variety of major business interests. RunSwitch recently celebrated its sixth anniversary and retained its status as the largest and most successful PR firm in Kentucky according Louisville’s Business First. RunSwitch has experienced tremendous growth while serving clients all over the country. “RunSwitch is able to deliver the best results to our clients because of our amazing team. I have enjoyed watching this team learn and grow, am proud of the work we do, and can’t wait to see where we go next,” said RunSwitch Partner Gary Gerdemann. For more information about RunSwitch PR and its team, visit RunSwitchPR.com.